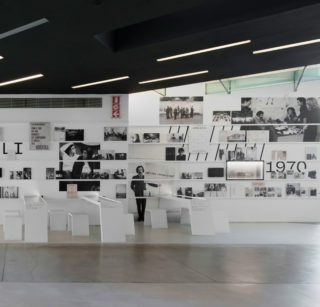 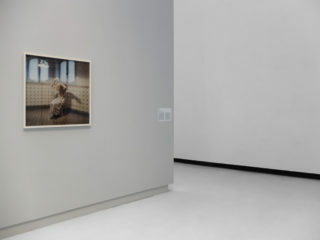 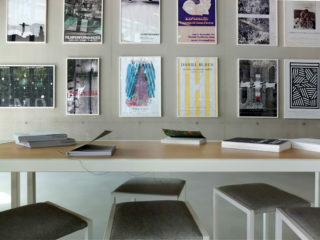 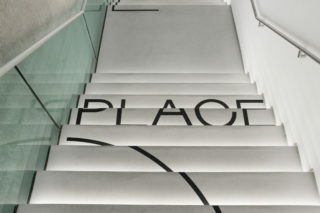 MAXXI – Museo nazionale delle arti del XXI secolo, Rome, reconfigured the spaces devoted to its permanent collections. 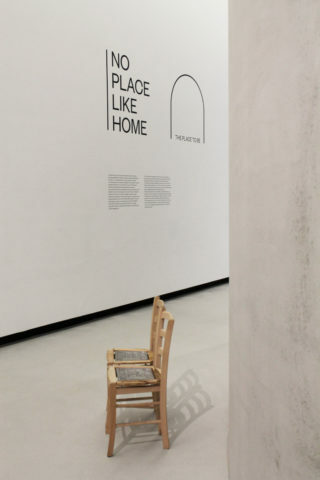 The exhibition The Place to Be investigates the relationship between man and his habitat — the environment that surrounds our bodies — reflecting on the connection between the domestic and the public, progressively reducing the scale from the city to the private. 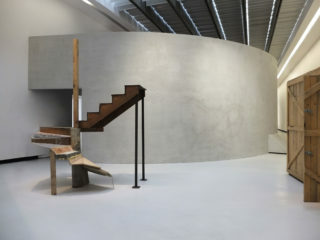 As the exhibition hosted an intricate route of artworks and architectural models, the curatorial approach was quite heterogeneous. 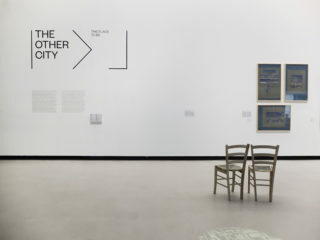 The exhibition comprises of three chapter in two galleries (The Other City, No Place like Home, Walking Around the Clock) and, between them, focuses on the work of the artist Bruna Esposito. 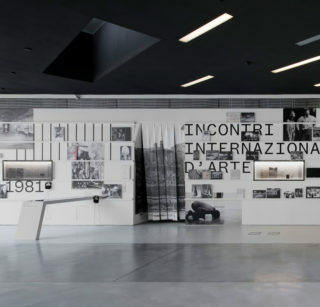 The exhibition also includes a parallel route for kids — Kids Museum — and Incontri Internazionali d’Arte: an itinerary with over 60 works of art, architecture and photography selected from the archive. 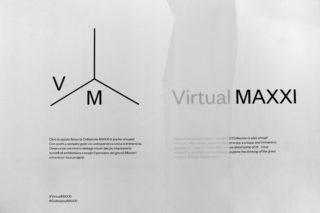 Effectively this project called us to develop not just one identity, but many. 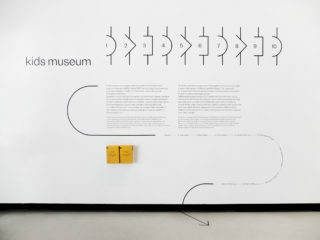 This identity needed to function as a sign system for the entire exhibition, creating a continuum between all of its parts while at the same time allowing each section to remain distinct. 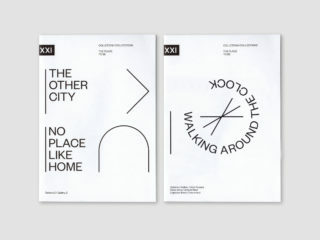 A library of signs in order to design each title and chapter: How do humans describe the place that they live? 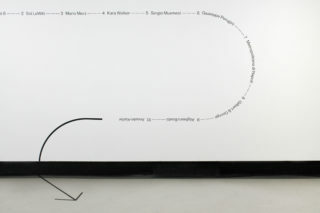 How do they represent their movement? 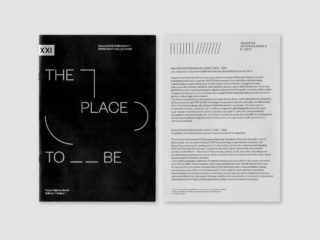 The representation of space in graphic design. 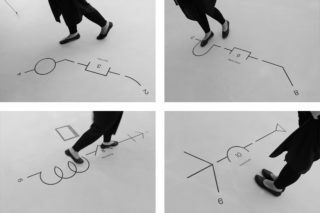 In dance but also in music and going on: umpteen signs to refer a little vocabulary growing up. 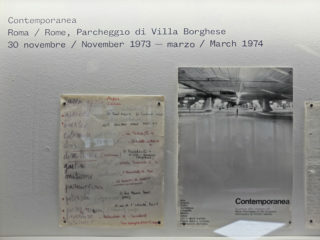 Incontri Internazionali d’Arte 1970 – 1981 An itinerary with over 60 works of art, architecture and photography selected from Incontri Internazionali d’Arte: an archive founded in Rome by Graziella Lonardi Buontempo in 1970 in collaboration with critic Achille Bonito Oliva with the goal of promoting contemporary creativity. 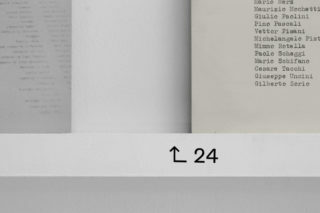 As it was not possible to display the original artworks in this section, we decided to create a simulated archive, containing reproductions of selected images. 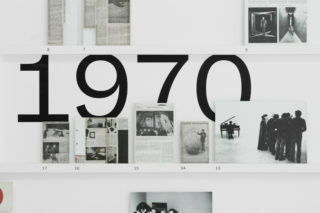 These primary works were framed in the background by oversized reproductions of secondary documentary material. 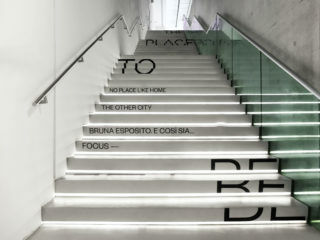 Kids Museum Another important part of the identity was represented by the Kids Museum, a parallel route for children that aims to encourage them explore and to interact with the artworks on show. 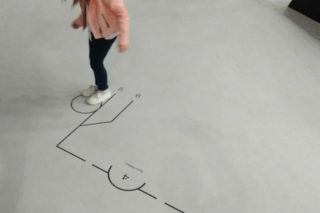 The circuit invited kids to play by following the ten stages indicated in the exhibition, but — very importantly — without compromising the seriousness of the galleries. 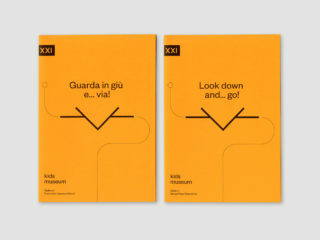 By using the same vocabulary of signs, we formed a path which was not made of a single sign but rather the juxtaposition of several signs together, and in such a way as to create “strange” routes for children. 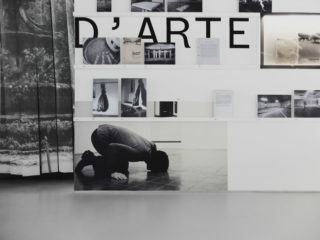 Exhibition curated by Margherita Guccione and Bartolomeo Pietromarchi. 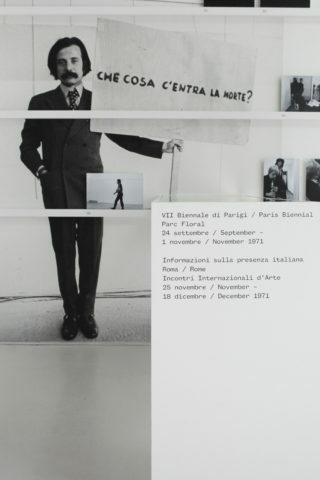 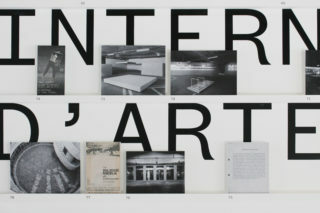 Incontri Internazionali d’Arte section curated by Luigia Lonardelli. 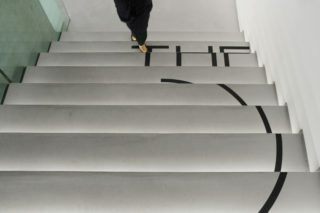 The Type Directors Club awarded The Place to Be the TDC 64 “Certificate of Typographic Excellence”.